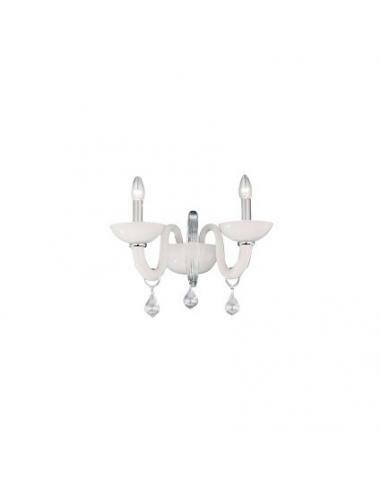 Chandelier with white glass blown and worked by hand with cover, lamp-holders and details in chromed metal. 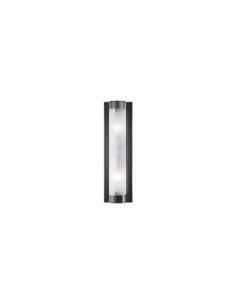 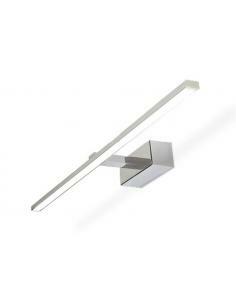 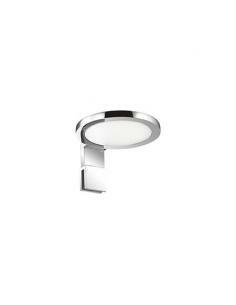 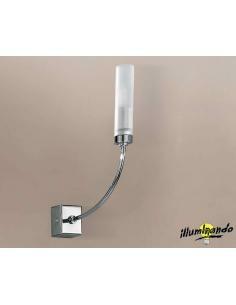 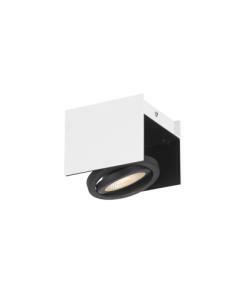 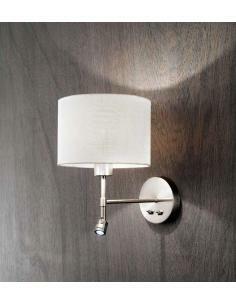 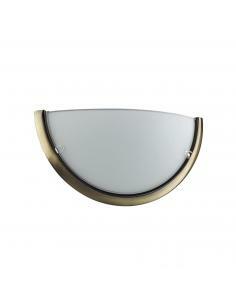 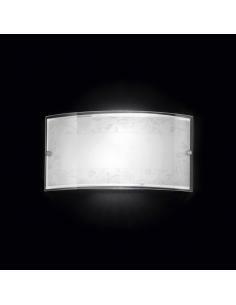 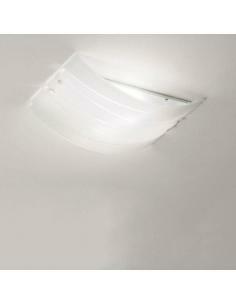 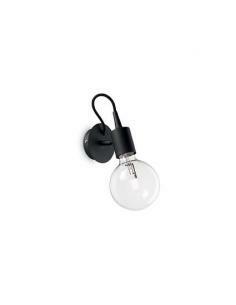 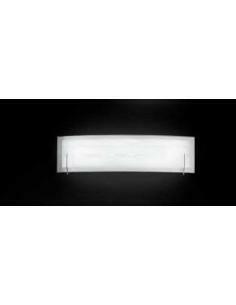 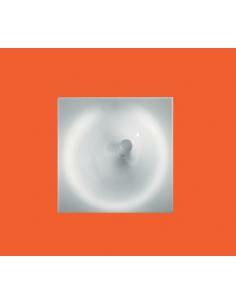 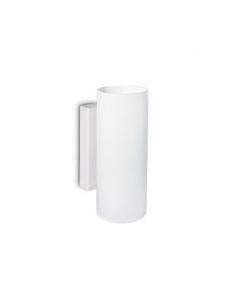 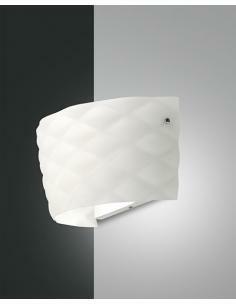 Wall lamp with montatura in metal finished in chrome or matt varnish, white or black. 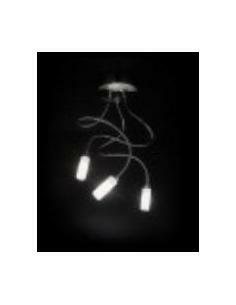 Electric cable in fabric. 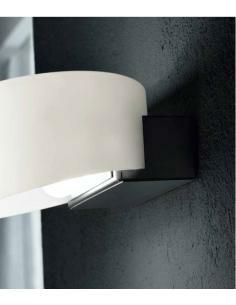 Color black.